Book Running Lead Manager for the Nitco Tiles QIP. 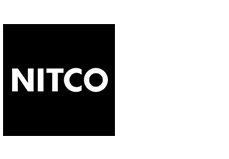 Nitco Tiles Limited (NSE: NITCO), a Mumbai based provider of diverse range of flooring solutions raised Rs 1,660 Million through a QIP offering in accordance with the SEBI (DIP) Guidelines, 2000. The offering comprised of 6,148,519 equity shares of Rs. 10/- each for cash at a price of Rs. 270 per equity share. The money raised through this offering will be utilised in expansion of the current business as well as for foray into the real estate business. Avendus Capital was the Book Running Lead Manager for the offering. The money raised through this offering will help Nitco strengthen its position in the flooring solutions business. It will also boost Nitco’s plan to enter into the booming real estate market. The bid opened on November 16, 2007 and closed on November 20, 2007. The equity shares issued through the offering got listed on Bombay Stock Exchange and National Stock Exchange on December 10, 2007. The outstanding equity capital of Nitco post offering is 32,123,552 equity shares of Rs 10/- each. Ten investors including eight Foreign Institutional Investors (FIIs) and two Indian Mutual Funds (MFs) participated in the offering. Some of the major investors included Deutsche India Equity Fund, Citigroup Global Markets, Merrill Lynch - India Equities Fund and Credit Suisse. Nitco is one of the leading providers of flooring solutions in India. Nitco provide a diverse range of flooring solutions such as vitrified tiles, ceramic tiles and marble, amongst others. Nitco is now foraying into the business of real estate development directly and through its wholly owned subsidiaries. Nitco intends to become an infrastructure goods marketing company by supplementing its product offerings to include wall tiles and sanitary ware and bathroom fittings. For Fiscal 2006 and 2007 the turnover for the Company was Rs. 2,984 Million and Rs. 4,606 Million, respectively, with net profit of Rs. 200 Million and Rs. 380 Million, respectively. For the half year ended September 30, 2007 the turnover was Rs. 2,588 Million with net profit of Rs. 245 Million. The market capitalization of Nitco based on the NSE closing price of Rs 300 as on December 26, 2007 is Rs 9,637 Million. Avendus is a full service Investment Bank with strong presence in M&A Advisory, Private Placements, Structured Finance Advisory, Equity Capital Markets, Institutional Broking and Alternate Investment Management. The company focuses on high growth industries where Indian companies have a strategic advantage globally, including IT Services, IT Enabled Services, Media, Lifescience, Automotive and Engineering, Real Estate, Infrastructure, Infrastructure ancillaries, Financial Services and Consumer Products and Services. Avendus clientele ranges from high growth mid cap companies to large companies represented in the BSE SENSEX and established Private Equity funds. Avendus was ranked 4th by Bloomberg in 2006 in number of transactions in M&A advisory and Private Placements. Avendus is head quartered in Mumbai and also has offices in Bangalore and New York. The firm currently operates through a JV in Europe.